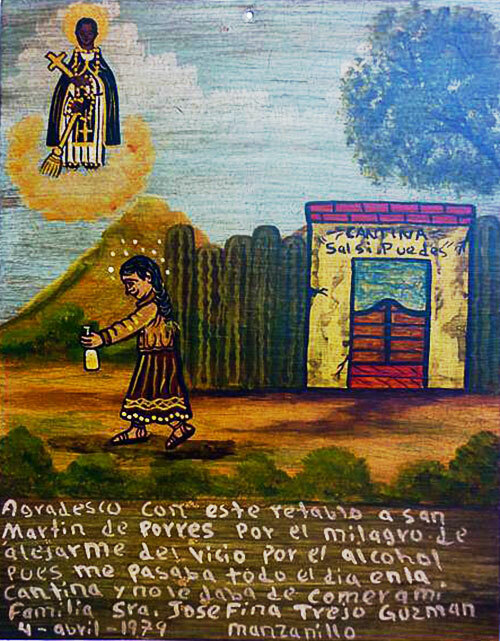 I thank Saint Martin de Porres with this retablo for the miracle of me staying away from this vice of alcohol. I stayed in the canteen all day long and didn’t feed my family. 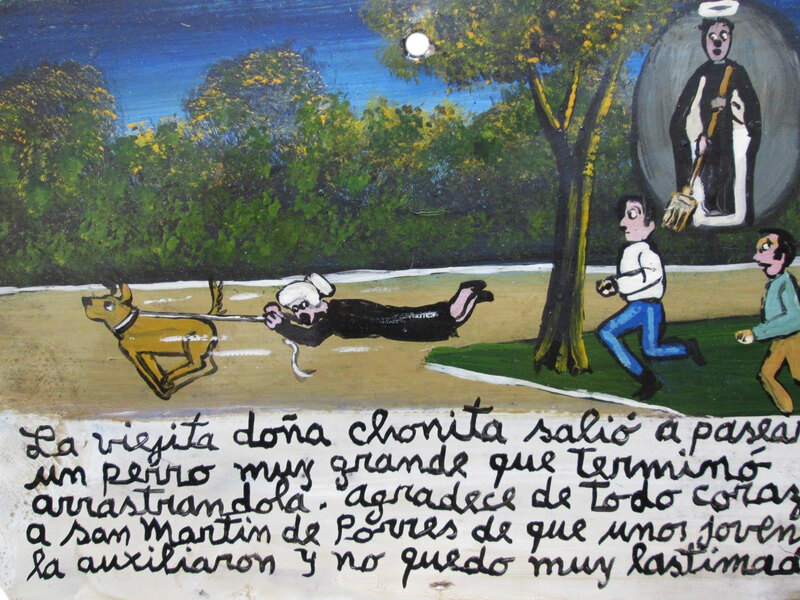 The old lady doña Chonita was walking a very big dog that ended up dragging her after him. She thanks Saint Martin de Porres for some young men helped her and she didn’t get hurt very much. 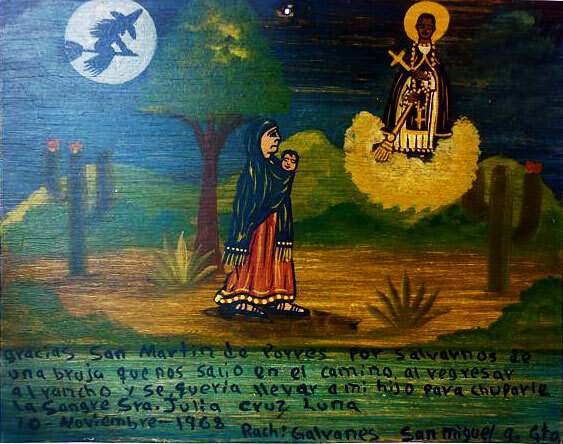 We thank Saint Martin de Porres for saving us from a witch that appeared on our way back to the ranch. She wanted to take my little son to drink his blood. 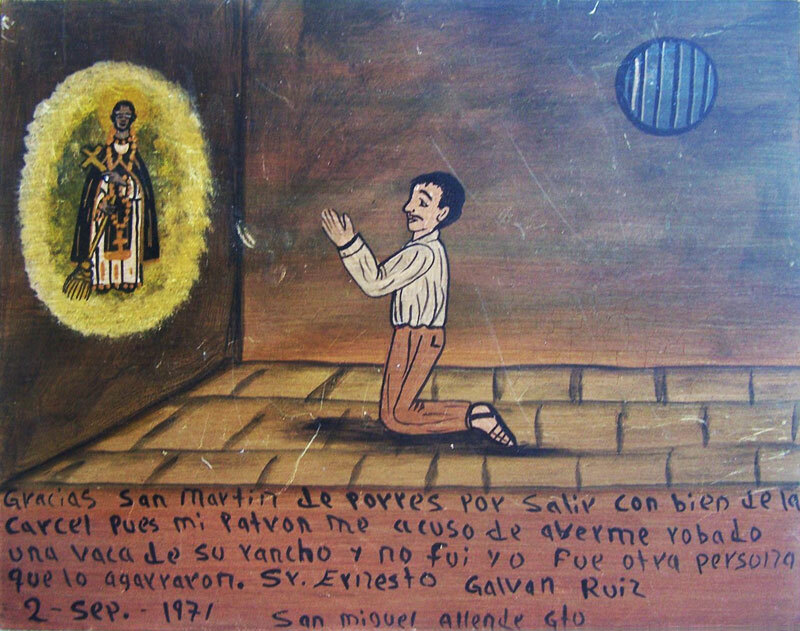 I thank Saint Martin de Porres for getting out of jail. The master accused me of stealing a cow from the ranch. But it wasn’t me, it was another man. And now they have caught him. 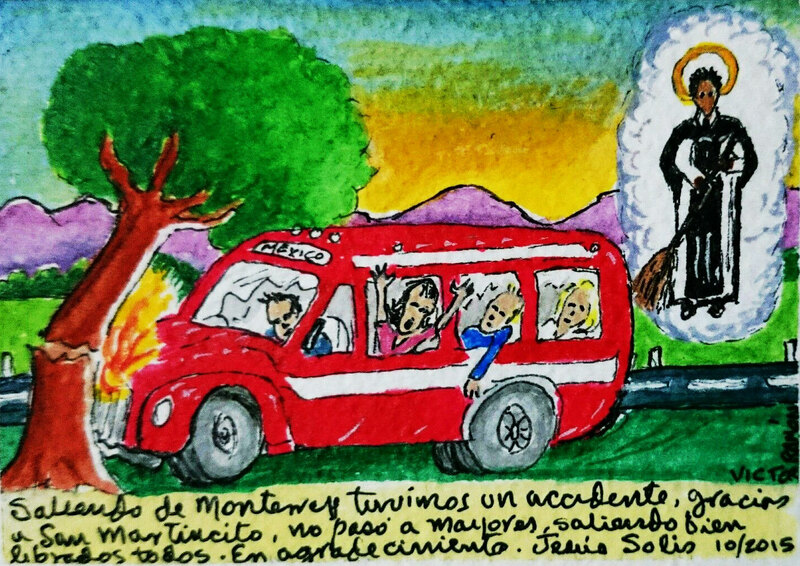 We had an accident leaving Monterrey. Thanks to Saint Martin nothing really bad happened and everybody was saved and got out. In gratitude. We thank Saint de Porres for a wonderful idea to instal a transparent mirror in our sitting-room. Now we can spy on the Durans when they come over for the dinner. We suspect they steal our silver dinnerware. 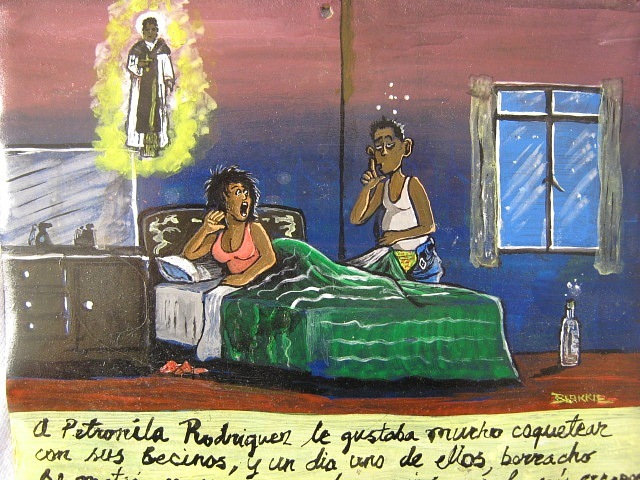 Petronila Rodriguez loved to flirt with her neighbors. But one day one of them got drunk and got in her bedroom. She thanks Saint Martin for saving her and promises to not be such a coquette. 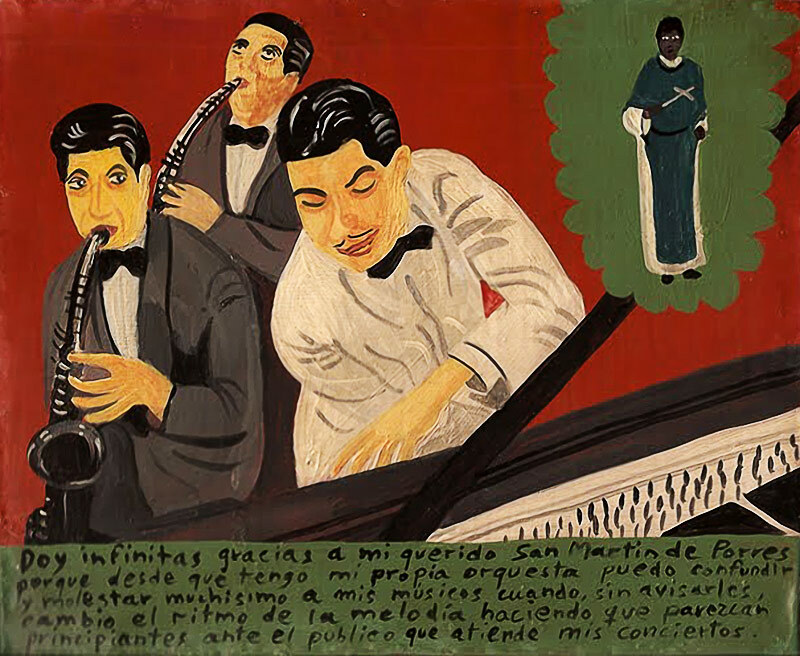 I’m thanking my dear Saint Martin de Porres because since I had my own band I can confuse and mock my musicians when without letting them know I change the rhythm of the melody making them look like inexperienced beginners in front of the audience. 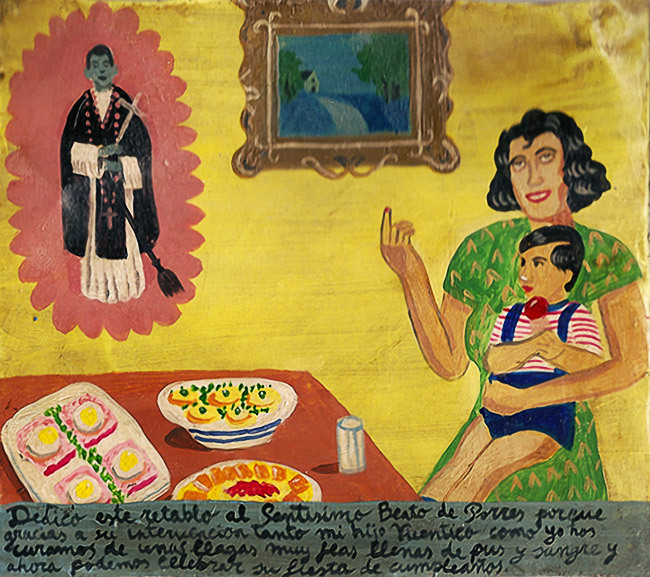 I dedicate this retablo to Saint Martin de Porres. 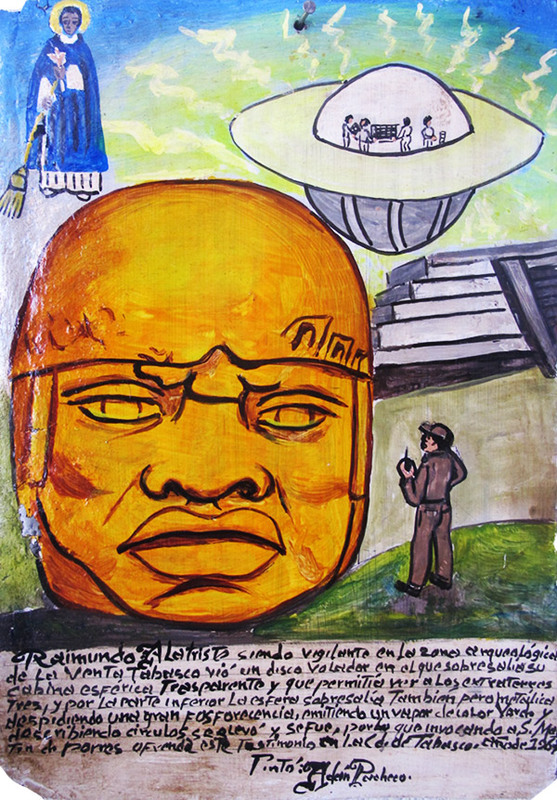 For a long time, I was drinking, idling about and stealing. I didn’t care about my father’s carpenter shop. 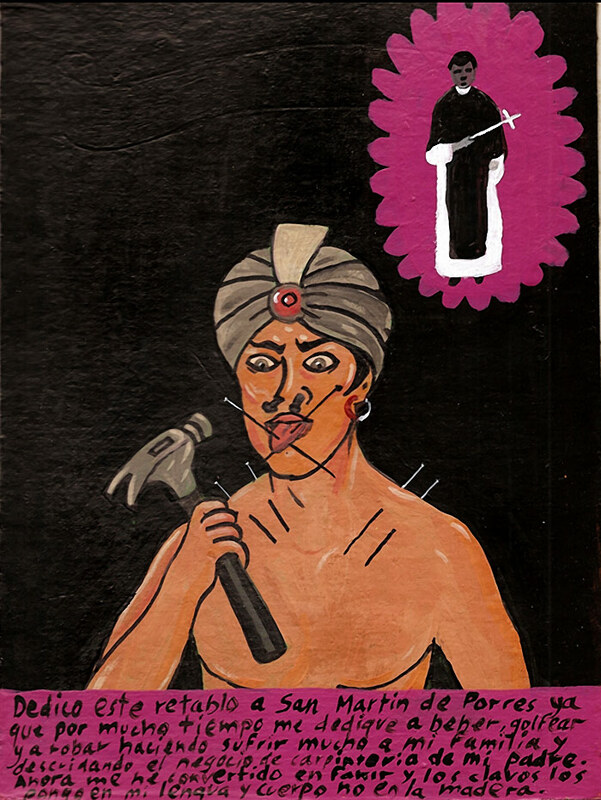 So now I became a fakir. I hammer nails not in the timber, but into my tongue and my body. 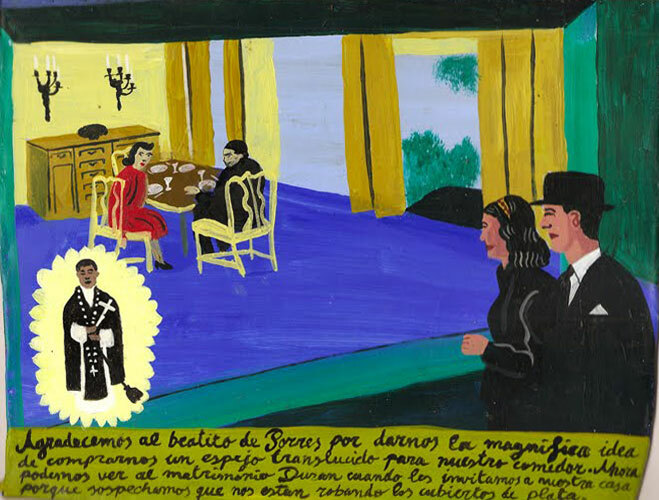 I dedicate this retablo to Saint de Porres because with his intervention my son Vicentico and I were cured from terrible sores filled with pus and blood. And now we can celebrate my son’s birthday.